The second in this batch of reviews is for Kaweco Royal Blue Ink. 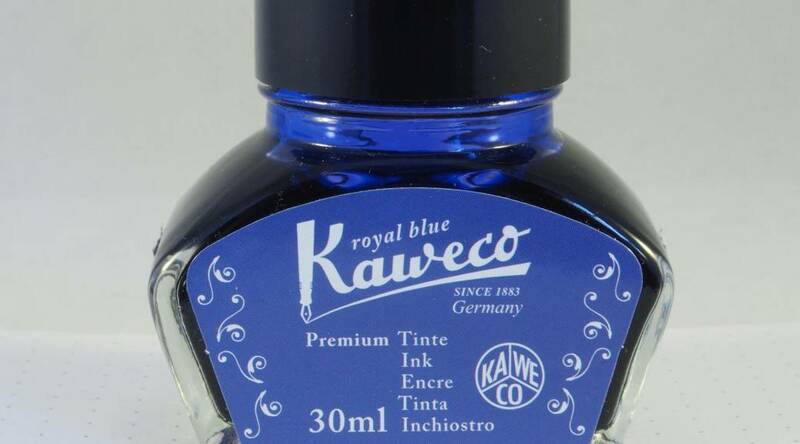 All the comments that I made regarding the bottle, box and cost of the ink in my Kaweco Pearl Black Ink Review apply to this case too, so I shall not repeat them here. 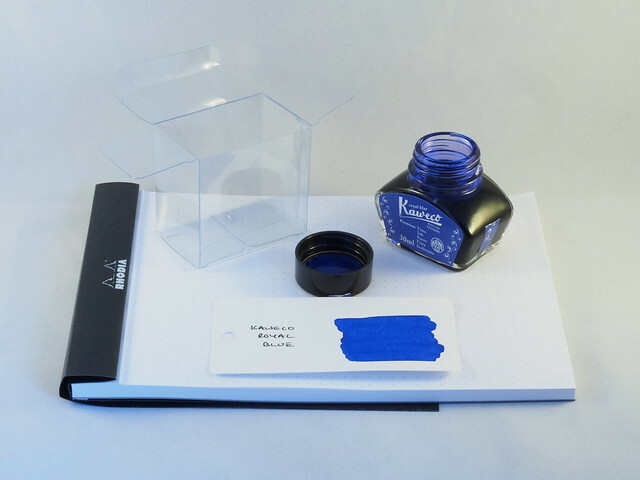 The only real differences are that the front label states the colour of the ink, and the front and top labels have white text on blue, which is a fairly close match to the colour. 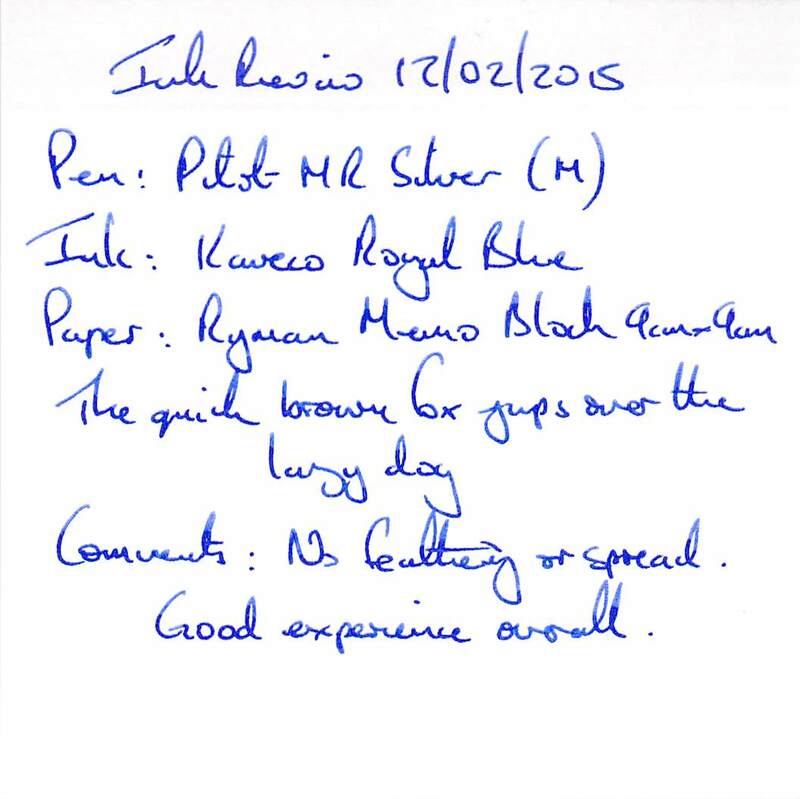 The test pen in this case was a Pilot MR Silver with a medium nib. Water resistance was almost nil – no traces of lines were left after holding a writing sample under running water, and text was obliterated by water drops. 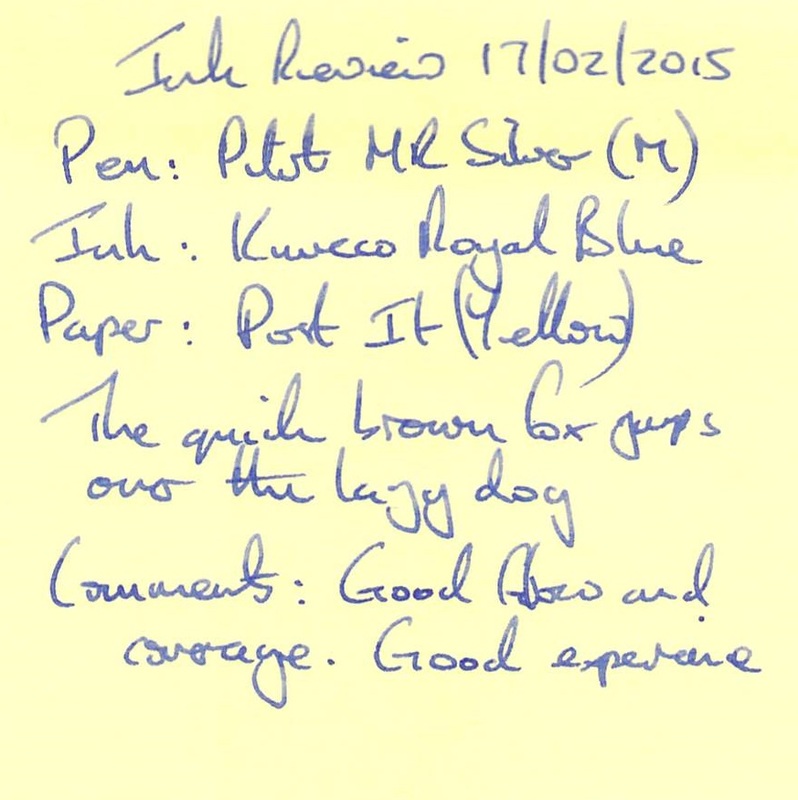 Cleaning was very easy which was not surprising considering the low water resistance of the ink. I was much more surprised by the drying time – which was around 10 seconds. This is one of the quickest drying inks that I have come across so far. Overall the performance was good but the writing experience was a little more dry than I would like, and colour was a little watery. 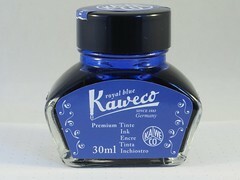 If it had been a little more saturated this would have been a very impressive ink. 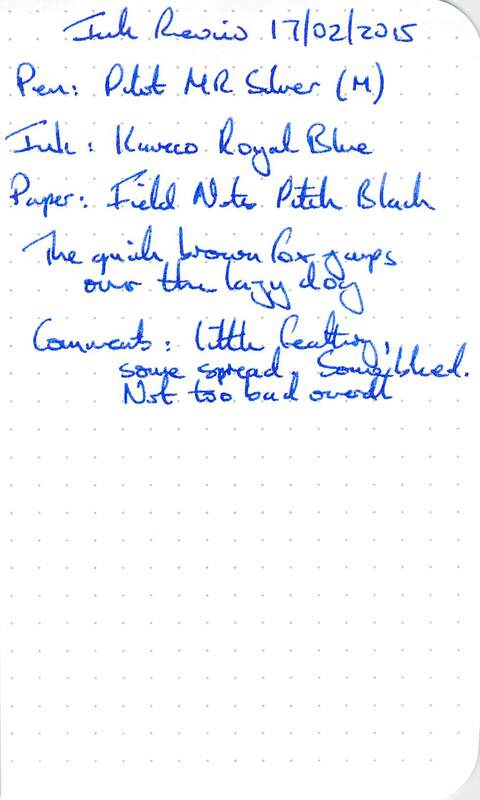 Still good on this challenging paper, but looks a little washed out. Considering this is the paper that trips up most inks, this is not too bad at all. 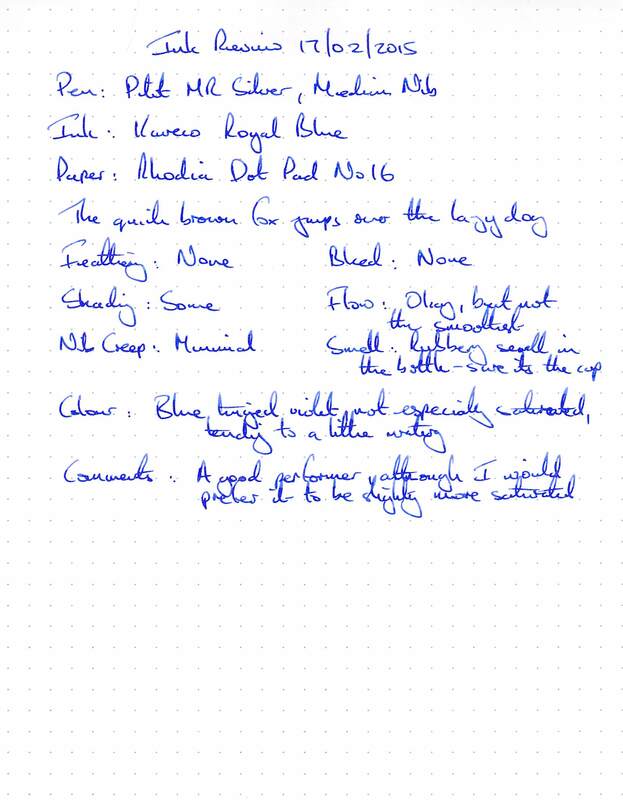 I wish the writing samples popped of the page in the same way that the swab does. 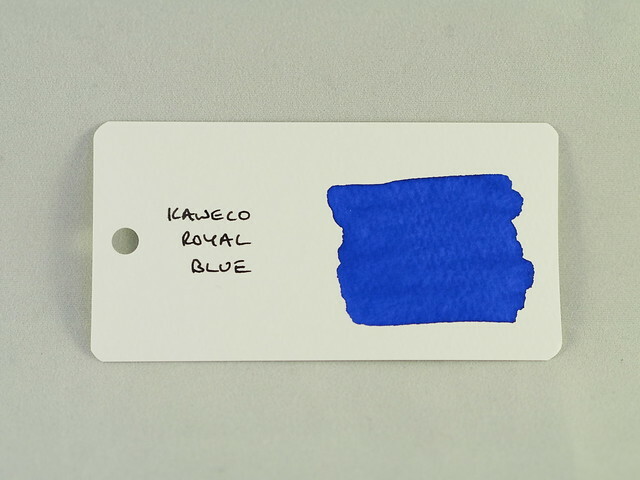 The ink itself is not what I would normally consider to be a Royal Blue, but if the Wikipedia Page on the colour is to be believed it is quite close to the bright shade and quite similar to the Royal Blue web colour. 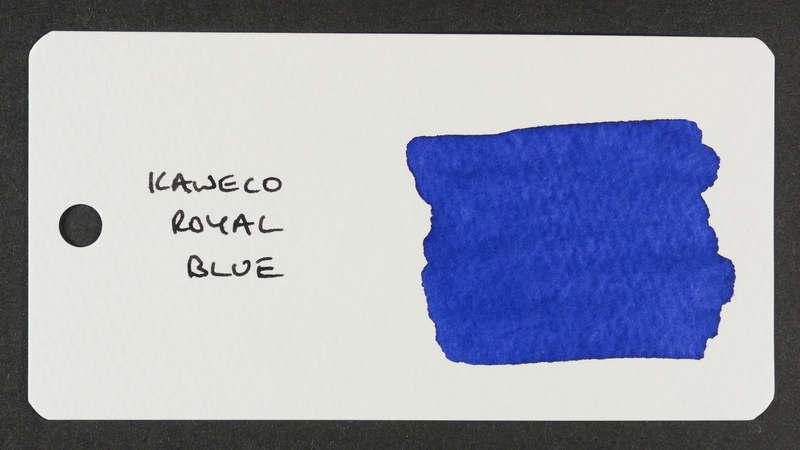 Although it’s slightly too watery to be an instant favourite with me, it is not unattractive and I may give it the occasional run in rotation. 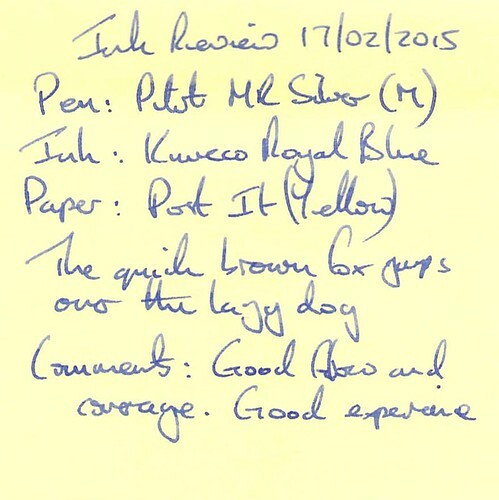 The same general comments apply as in my last review – it is an expensive ink, but it does come with the peace of mind of being from a respected pen manufacturer. If you are happy to bear the cost and like the colour then it is unlikely to disappoint. The quick dry time is an unexpected bonus.